Overland 4wd: A travel vehicle designed to reliably carry multiple occupants and the weight of extensive support equipment in a wide range of road conditions, from long stretches of smooth highway to technical sections of mud, rocks, snow and sand. For North America, we are already hamstrung by limited options; solid axle Defenders, Land Cruisers and Patrols all painfully absent. This opinion is not “which is the best overland vehicle in the world” (or even to drive around the world), but the ultimate new 4WD available in the USA, one that provides the best overall performance and attributes for backcountry adventure travel. 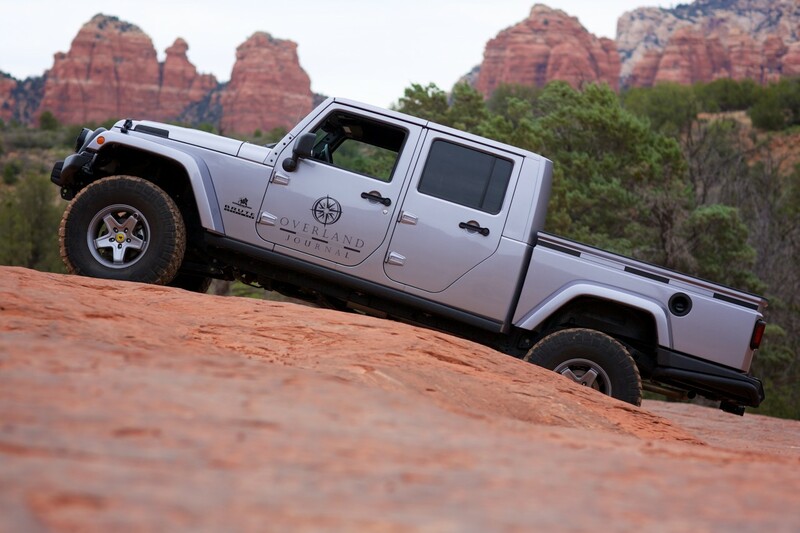 After considerable research and years of extensive testing, we believe the ultimate new overland 4WD available in the USA is the AEV Brute Double Cab. I am not a “Jeep guy”, but this truck is without question the most exceptional travel/adventure 4WD I have tested in North America. I own all manner of vehicles, daily drive a Mercedes G-Wagen, have four Land Rovers and have circumnavigated the planet a few times with Land Cruisers. 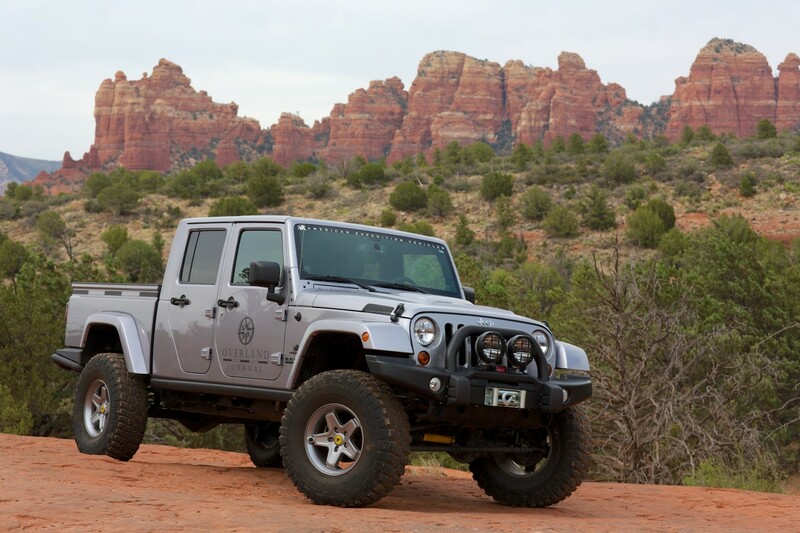 I appreciate all of the brands, but for the rough and tumble American West, and the typical overlanding experienced in the USA, the Brute has them all beat, with a little extra pummeling available from the optional 37-inch tires and 470hp HEMI. . . It is the breadth of capability that makes the difference. Sure, a full-size truck will have a greater payload, but it is often too big for remote, technical travel. The 4Runner is a high quality SUV, but lacks the storage volume and flexibility of the double cab pickup. The closest competition would be a Toyota Tacoma, but try to (easily) fit 37″ tires and have the vehicle still cruise comfortably down the highway or achieve even close to the same trail performance. I owned a Tacoma for many years, and the limitation of the drivetrain was painfully obvious on more than one occasion. In addition, all of those vehicles are relatively pedestrian, ubiquitous and dare I say boring. It is impossible to drive the Brute without smiling, mostly because of the endless stream of smiles coming from passing traffic, little kids erupting into fist pumps and parents fumbling for their phones. 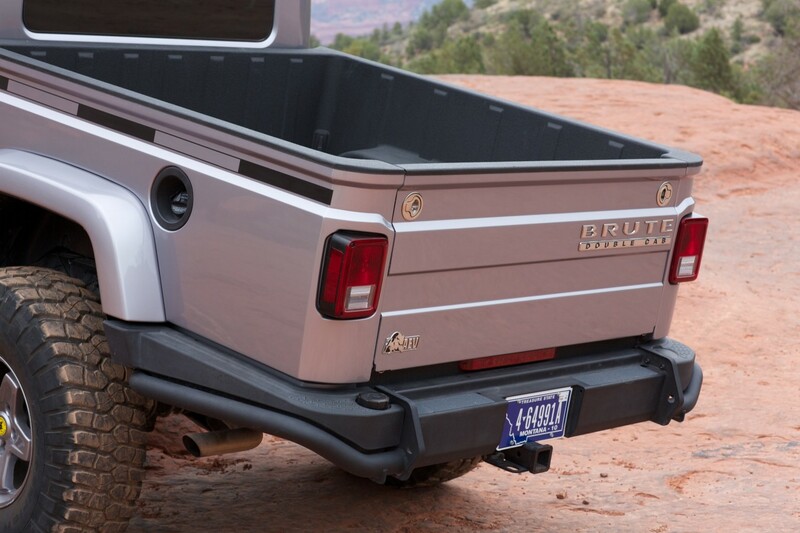 People love the Brute, and for good reason- it not only looks awesome, but it can actually cash those checks too, trail after trail, trip after trip. For some reason, the word “ultimate” causes rational people to lose their minds, synapses exploding and blood vessels erupting into a furry of Disqus comments and Facebook rhetoric. I suspect that is because calling something the ultimate somehow implies that everything else is inferior, and as a result, the reader takes the opinion as a personal affront to their P38 Range Rover or Hummer H2. However, there are truly ultimate vehicles, just as there are ultimate cameras and ultimate carbines. There are pinnacles of design and performance that outpace the rest, despite their price or the badge they wear on the hood. Price, of course, becomes the immediate point of contention, but who cares? Products cost what they do because of the components required to assemble them, the engineering time required to design them and the volume at which they are sold. “Ultimate” and “Cheap” are rarely bedfellows. While a SUV wagon is arguably the most popular 4wd for exploration, nothing provides more flexibility and configuration options than a double-cab pickup. The Brute combines the industry-leading trail capability of the Rubicon with a significant increase in payload volume. For travel in North America, requirements are quite unique from the developing world or even treks across Australia. US highways are wide and fast and our overland tracks are (comparably) short and often technical. A 70 series Land Cruiser or Defender 130 are limited in both scenarios, with inadequate limit handling performance at high speeds and mediocre trail performance unless extensively modified (further reducing their road manners). I have cruised in the Brute comfortably at 85-90 mph, with one finger on the wheel and plenty of braking and accident avoidance capability left in the tank. Set the cruise control, lean back into the custom leather seats (heated), adjust the automatic climate control and let the miles fly by in XM radio (or Bluetooth) induced bliss. Even with 37” tires, this truck cruises effortlessly, benefiting from the adequate 3.6L 285hp V6 or any flavor of HEMI you can afford. 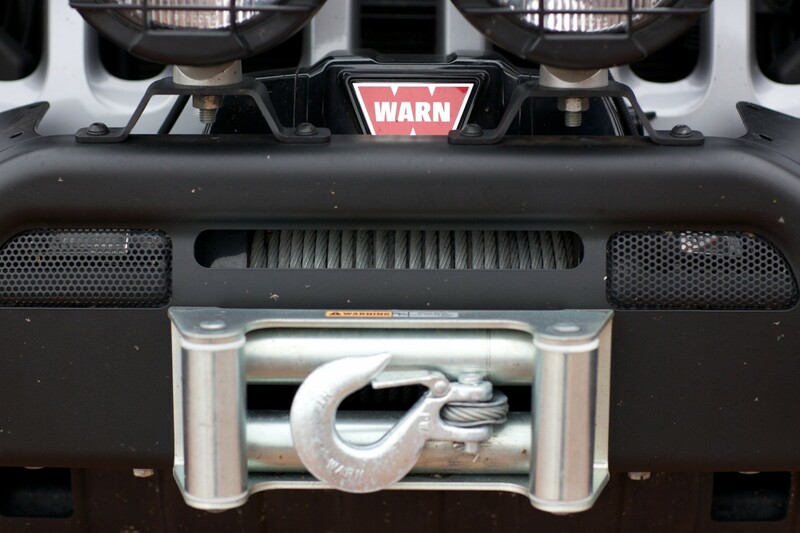 On the trail, the Brute has both benefits and limitations due to the 139-inch wheelbase. For climbs and higher speed tracks, the length provides stability and control, and the more technical the climb, the better the long wheelbase performs, the front axle often clearing the obstacle before the rear engages it. Despite the length, it is still surprisingly nimble and well protected, although turning radius is more battleship than PT boat. The tires stick out past the sheet metal and a rock slider guards the quarter panels. With the height only being the length of the double cab, it even maneuvered around trees well. 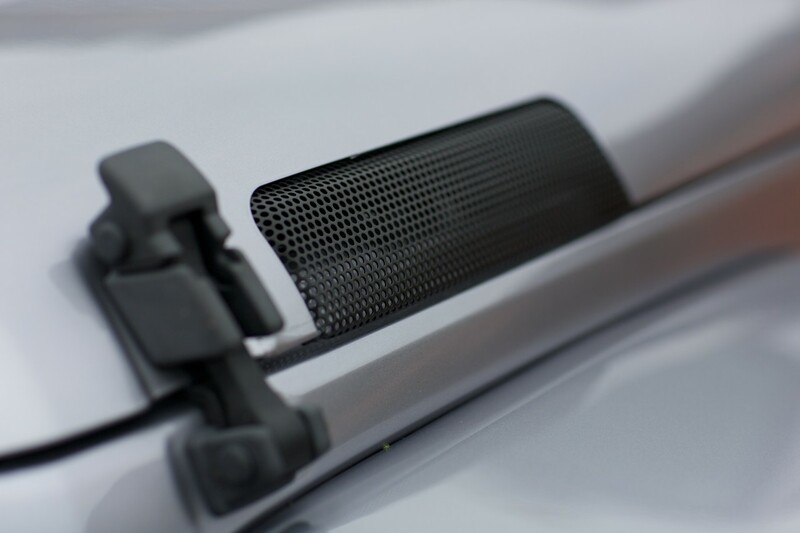 Once the terrain gets particularly nasty, all of the hardware is present to solve problems, including a driver activated swaybar disconnect and front/rear locking differentials. The 37-inch tires and 4.5-inch suspension system/lift provides more than adequate clearance and breakover angle. 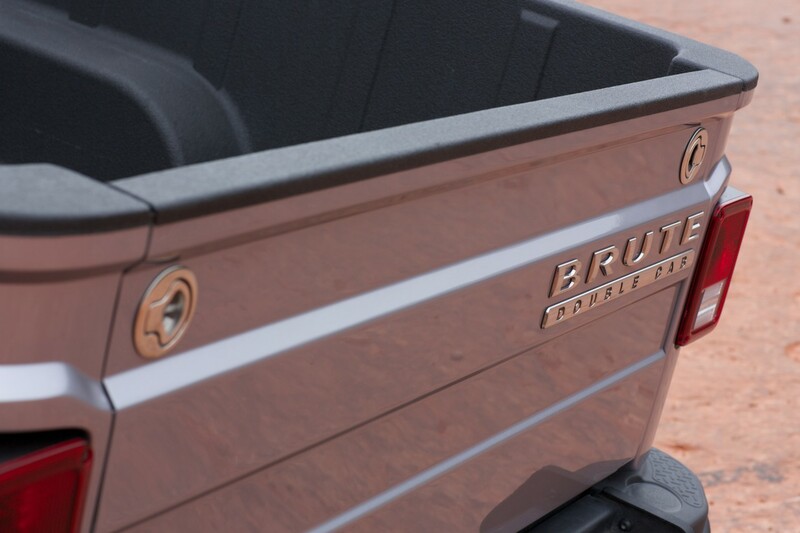 Despite the awe-inspiring trail performance and docile road manners, the Brute is really defined by its adaptability. Honestly, it is the most useful vehicle I have ever driven. Want to run Pritchett Canyon? 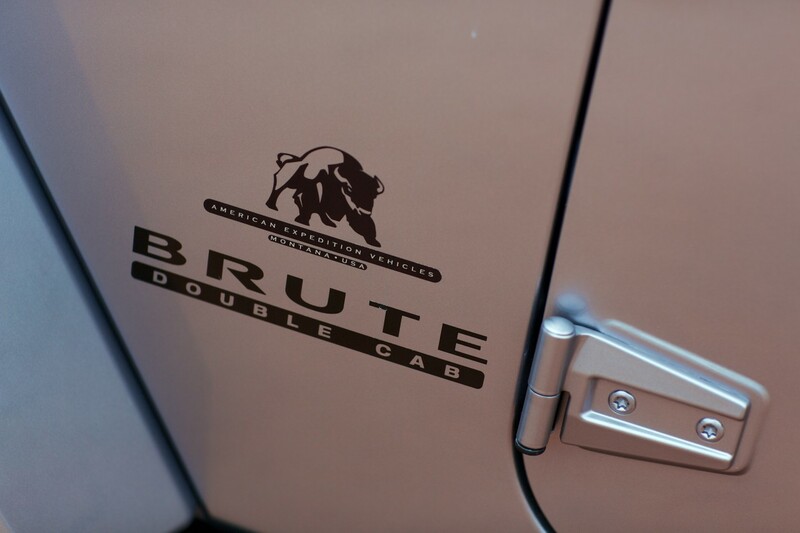 Take the Brute. Want to grab some hardwood flooring from Home Depot? Take the Brute. Want to mount a Fourwheel Camper and spend a few months in Alaska? Yep, take the Brute. I haul mountain bikes and motorcycles with it, load it up for the dump or fill the bed with targets for archery with my nephews. I also wouldn’t hesitate to drive it around the world, including crossing Glaciers in Iceland or the Canning Stock Route in Australia. 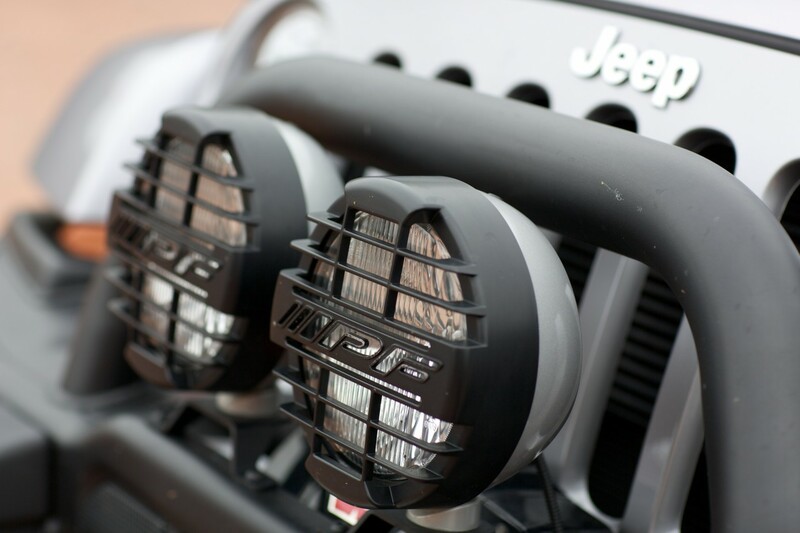 While the modifications appear extensive, all of the important factory parts are retained. 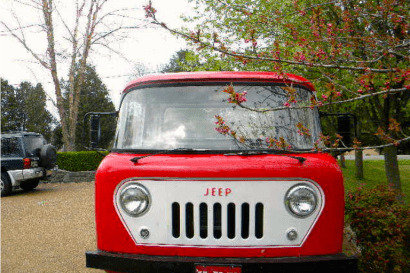 This is not a frankenjeep, just a better Jeep. 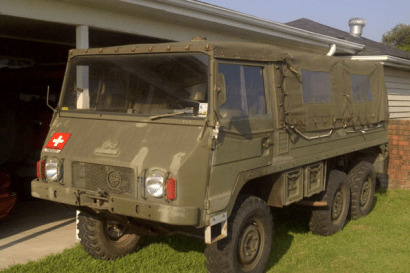 So, based on my view of this AEV Brute, it is absolutely the Ultimate Overlander. 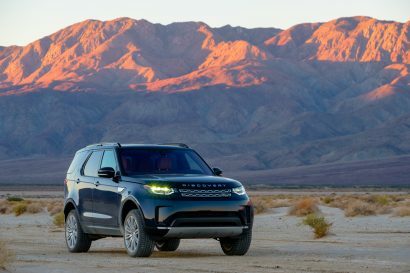 There is nothing sold new in the USA that is even close, and given that you can buy one for less than a new Land Cruiser, or far less than a new G-Wagen, I would say that some of us could actually afford one. I know that most readers will appreciate how cool this Brute really is, but there will still be a few Hummer H2 owners, 1990 YJ believers and 2002 Discovery apostles that will be convinced otherwise – no worries, I won’t judge. Drive what you love. . .